Director Cameron Crowe is back with his first feature film since 2005's Elizabethtown. Based on the Benjamin Mee memoir about how the author used up his life saving to purchase a run down zoo in England. The movie relocated to California where Matt Damon plays a Los Angeles reporter who was always taking chances for his stories. After his wife dies he's not only left struggling with his loss, but suddenly having to deal with his 7 year old daughter and teenage son. He leaves his job and buys an old country home which just happens to have a zoo complete with animals and staff attached to it. The rural acreage houses the Rosemoor Animal Park which has been closed due to lack of funds and the staff is considering selling the animals to other zoos. Kelly Foster (Scarlett Johannson) is the head zookeeper and sees disaster in their future as they only have 2 months to get the zoo into shape so it will pass inspection. Damon playing Benjamin Mee throws himself whole heartedly into the project hoping to keep the kids occupied while they work through their grief. Teen Dylan (Colin Ford) is sullen and remote spending most of his time drawing horrific pictures (though is father is impressed with his artistic talents). Ben can't seem to connect with Dylan and the movie spends some time on their reconciliation. The other parts of the movie enjoy some light hearted moments as inexperienced zoo owners struggle for acceptance by the zoo staff while they hurry to get the zoo ready to open. They must please inspector Walter Ferris (John Michael Higgins) who tries his best to find fault. No one believes that Ben can get the zoo running. Especially his accountant brother Duncan (Thomas Haden Church) who grudgingly watches as Ben pours all their money into the food and repairs. The sick tiger Spar needs to be put down, but Ben doesn't want to let him go as he is working out issues through his heart to heart talks with the tiger. Kelly is also hedging bets that they will not be able to stick it out to the end. Screenwriter Aline Brosh McKenna has also scripted light chick flicks like 27 Dresses, Morning Glory and The Devil Wears Prada. Her penchant for creating strong women characters that can do it all is evident in Johannson's zookeeper Kelly. She's good at her job and straightforward in her dealings with people and animals. You just know that she will not fall for the widower until there's some mutual respect and admiration attached. She's not a ditsy blond trying to juggle her job and a pursuit of a love life. Damon centers the film being a dad who is not perfect, but is willing to learn and listen. His scenes with his young daughter Rosie (Maggie Elizabeth Jones) are touching and sweet. Something that comes naturally to real life fathers. 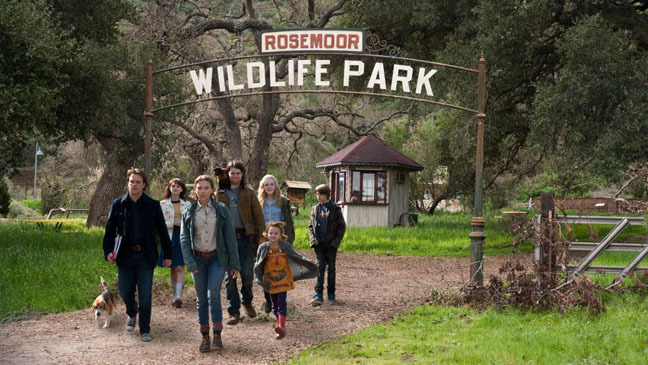 Elle Fanning plays the preteen Lily who is Kelly's niece and also works at the zoo. This is a set up for Dylan character development. Look for Patrick Fugit of Almost Famous all grown up and filled out. 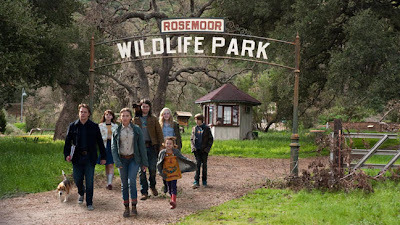 We Bought a Zoo is a movie about grief, a movie about animals, a movie about parents and communicating with their kids, it's about taking chances in your life and encountering unexpected paths. It's the feel good holiday movie that one can take the whole family. You may not remember it in a couple months, but the pleasant 2 hours will be worth it.